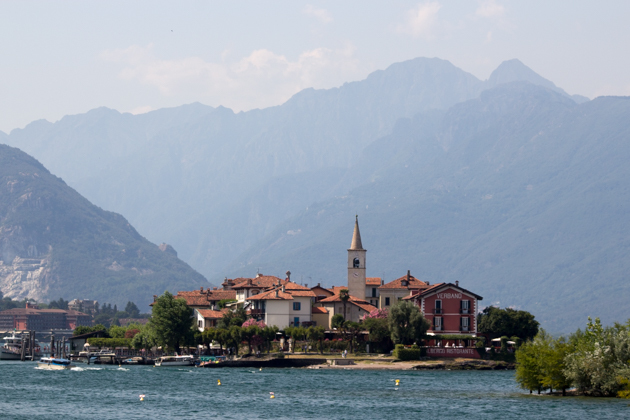 Within an easy hour-long drive from Milan’s Malpensa airport is a beautiful and relatively uncrowded holiday spot. 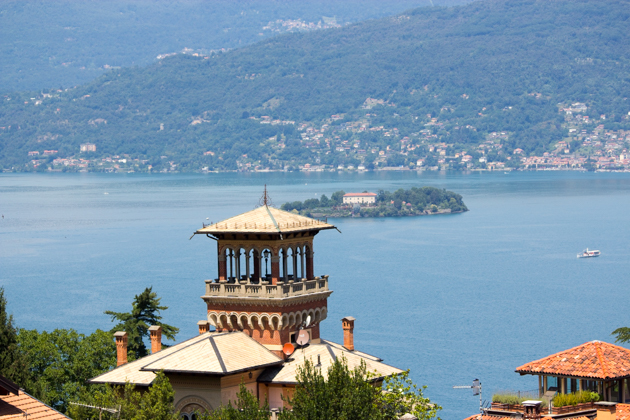 The winding road off the motorway leading to Stresa takes a sharp left turn offering panoramic views of the glassy lake dotted with islands and boats, framed by the towers of handsome period villas. 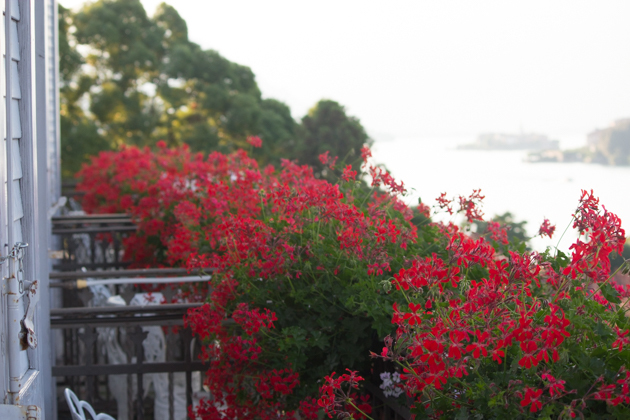 Palm tree-lined streets and colourful bougainvillea-accented windows remind me of the Riviera. 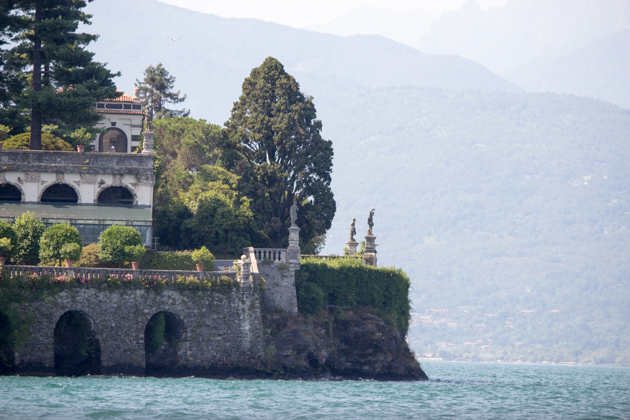 Stresa has been a favourite destination for European aristocracy for centuries. 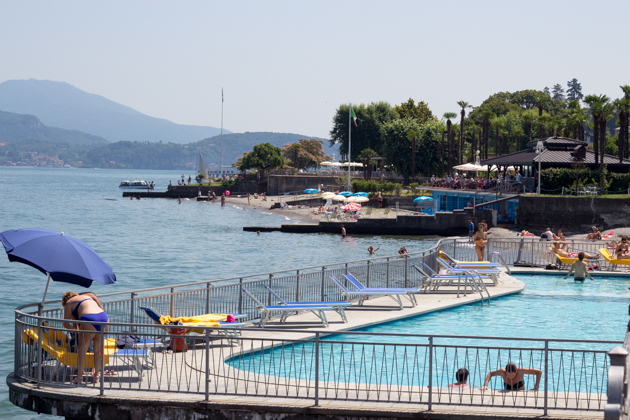 While the beaches attract the young, the lakes have a magnetic attraction to older tourists. Unlike the coast, the beaches are free with clean refreshing waters to swim in. 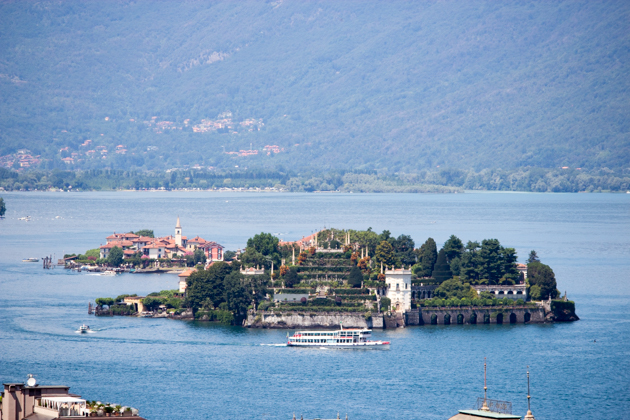 Majestic 19th century hotels line the coast of Stresa complete with buffet breakfasts, spas and pools. There is even a good playground next to the beach. 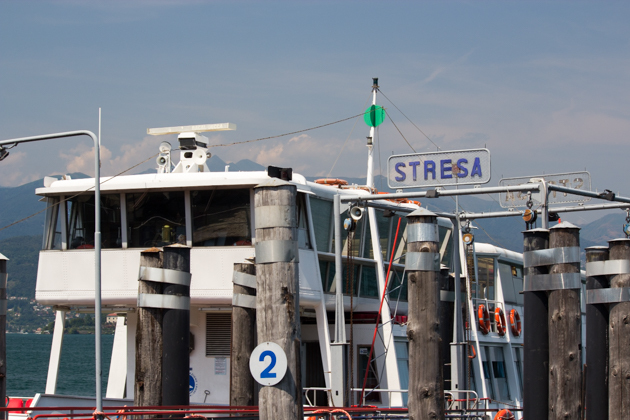 Everywhere is within walking distance, a godsend when travelling with pram-ridden babies. 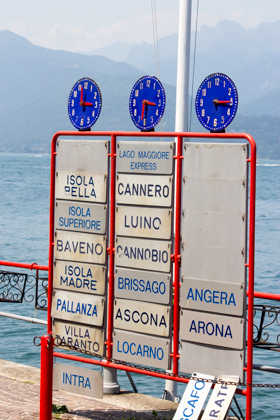 Ferries make travel with young ones easy and fun, taking you to all the major attractions on this side of Lago Maggiore – Arona, Pallanza, Santa Catarina with its 12th century church chiselled into the side of a cliff and the Borromean Islands, particularly Isola Bella with its magnificent palace and Isola Madre with its botanical gardens. 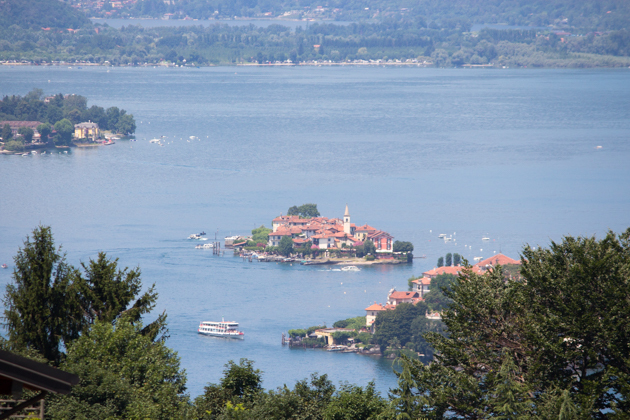 Isola Bella and Santa Caterina have quite a few stairs so it’s better to bring the baby carrier rather than the pram. There is a tram to visit the worthwhile hillside town of Mottarone (which was not running when we visited). 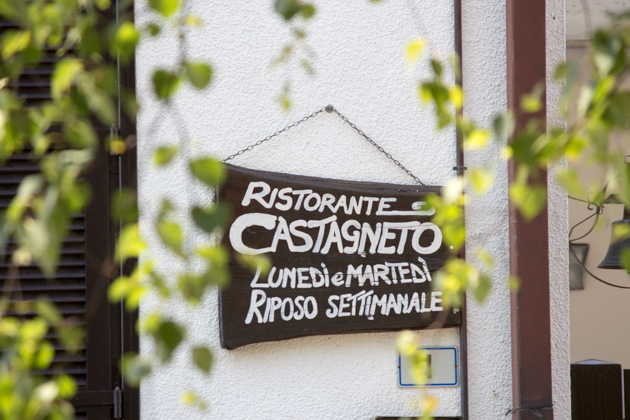 The blueberries and herbs grown in Mottarone feature on many menus in Stresa. 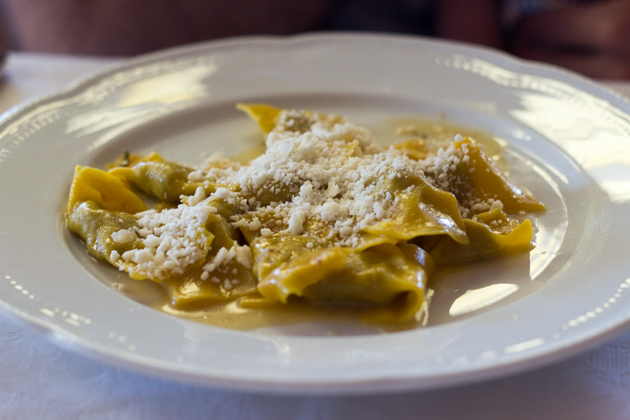 Many of the restaurants in Stresa offer national menus, often featuring seafood rather than lake fish. 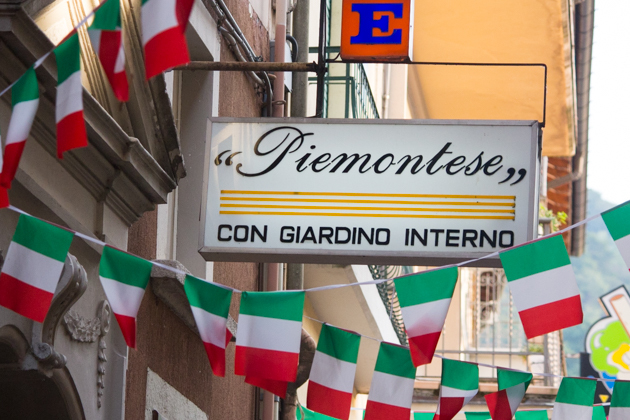 There are a few restaurants offering excellently prepared food, both inventive and traditional which I list below (my favourites being Il Piedmontese and Castagnet0 near Arona). I am rather partial to saltwater fish and seafood over freshwater fish although this runs against the grain of my normal preference towards locally procured ingredients. 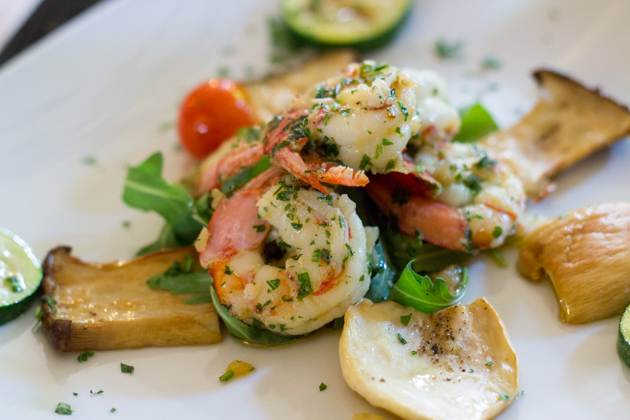 The seafood-rich menus also contribute to the sense of a seaside holiday. 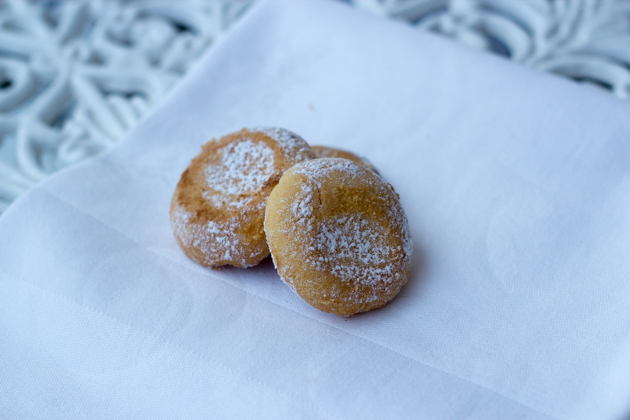 Stresa is known for these tiny, ethereal biscuits with a lemon flavour called, Le Margheritine. 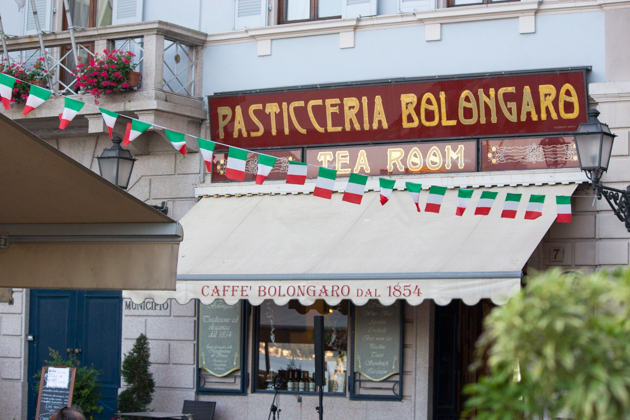 They were invented by Pasticceria Bolongaro in honour of the first queen of Italy, Margherita of Savoy, who used to holiday in Stresa. Mix the butter and icing sugar until well combined. Add the lemon zest and salt and mix well. Push the egg yolks through a fine sieve and combine with the sugar-butter mixture. Add the flour and cornflour/cornstarch until well combined. 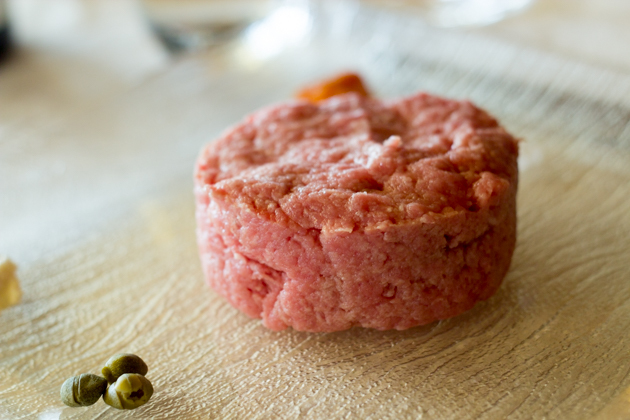 Wrap in cling film and let the dough rest in the refrigerator for 2 hours to firm up the dough. Use a rolling pin to roll the dough to 1 cm thick. Use a 3cm diameter cookie cutter (round or flower shaped) to cut out the biscuits. Place the biscuits on a sheet pan lined with parchment paper. Leave a few centimetres between the biscuits. Use your finger to push down the centre of the biscuit to leave an indentation. Bake for 15 minutes or until golden. Let the biscuits cool and dust with icing sugar. 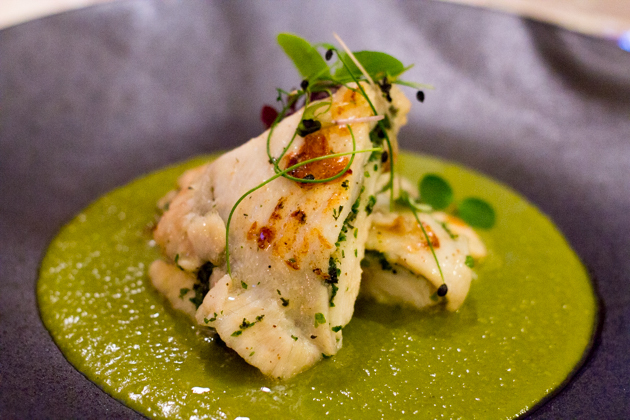 Il Clandestino focuses on seafood so reserve in advance to ensure a good selection of fresh seafood. 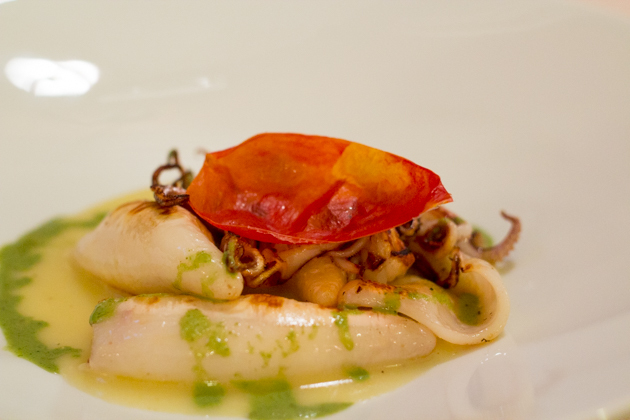 The seafood was fresh and well prepared but it errs on the expensive side. 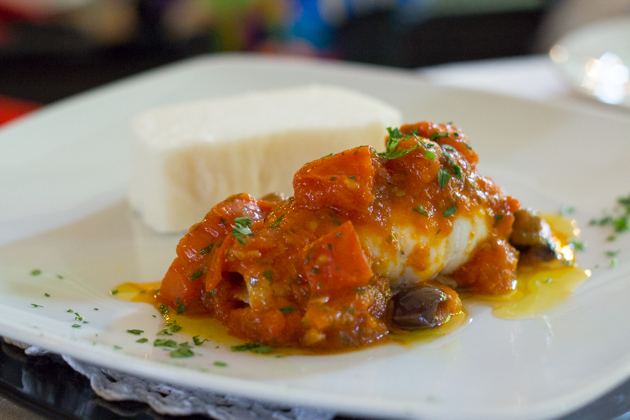 Recommended dishes: Paccheri con scorfano (paccheri pasta with stone fish), pesce misto grigliato (grilled mixed fish), mirtilli (blueberries) from Mottarone. 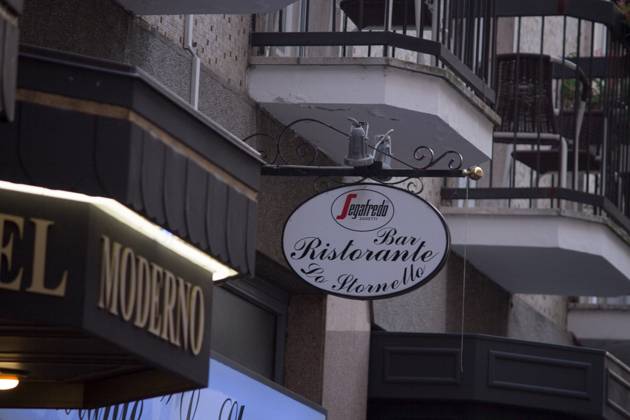 This is our favourite restaurant in Stresa. 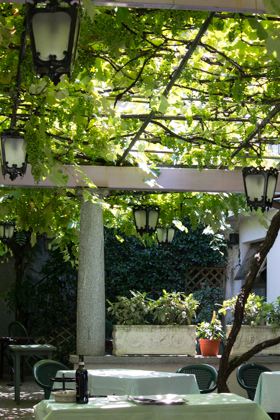 It has a beautiful patio covered with grape vines and bunches. The wine list brought a huge smile to my husband’s face. 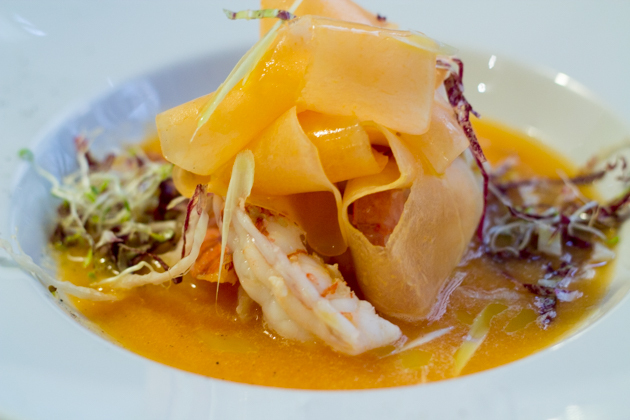 Recommended dishes: maltagliati di grano saraceno con burro e Parmigiano (buckwheat pasta with butter and Parmigiano-Reggiano cheese), spaghetti con pancetta, prezzemolo e aglio (spaghetti with bacon, parsley and garlic), gamberi ubriachi e funghi (drunken prawns with mushrooms) and branzino con olive taggiasche e polenta (sea bass with olives and polenta). Reservations are essential. 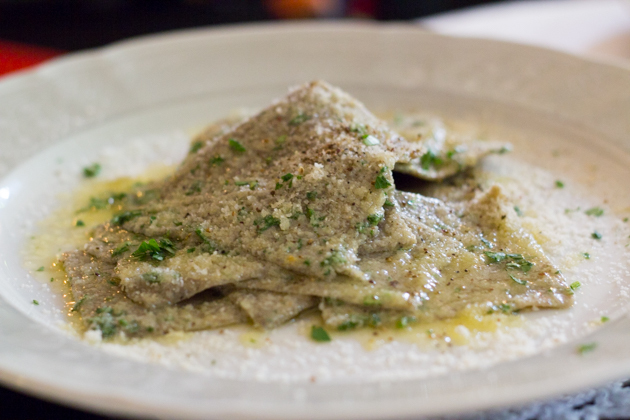 What this tiny restaurant lacks in ambience, it makes up for in its good value food and friendly service. 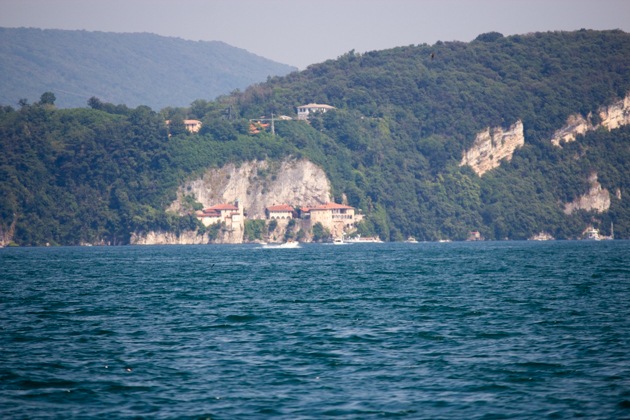 Castagneto is just south of Stresa, near Arona. 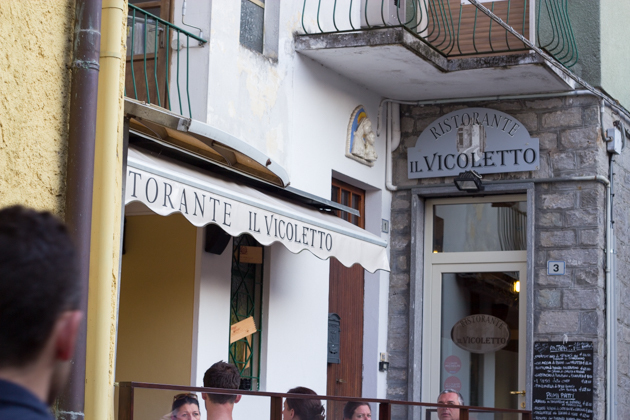 It is a gem of a restaurant with a lovely terrace where you can eat delicious food to the sound of birds. Families with small children will appreciate the play room and nappy changing area. 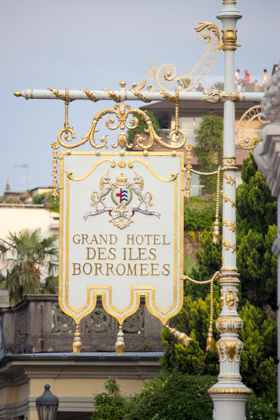 If there are too many people for your taste in Stresa and you have a car, head here for respite. 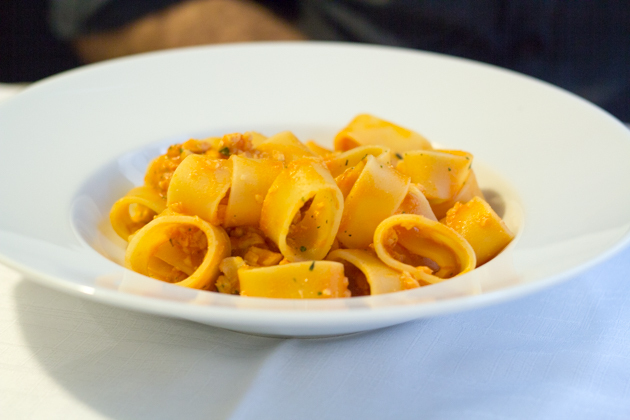 Recommended dishes: spaghetti with seafood, carne cruda (steak tartare), agnolotti di vitello (veal agnolotti), ombrina con calamari alla griglia (shi drum with grilled squid). 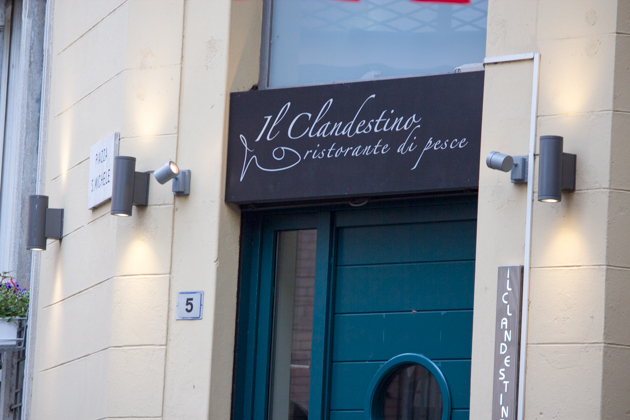 I had considered not including this one due to its quite painful service and dismal ambience (and also lack of air conditioning in the summer) but the food is faultless. Furthermore it is inventive and the rare occasion where this actually works. The wine list is also great value. The front of the house is failing the kitchen on this one but the chefs do deserve a commendation. 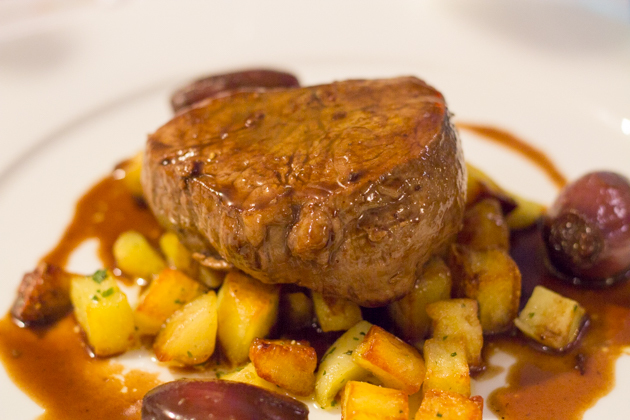 Recommended dishes: Zuppa di melone con gamberi (melon soup with prawns), filetto con cipolle e patatine (beef fillet with onions and potatoes), paccheri con ragù di luccio e pesce persico (paccheri with pike and perch ragu) and rombo con couscous e vedure e salsa di te verde (turbot with couscous, vegetables and green tea sauce). 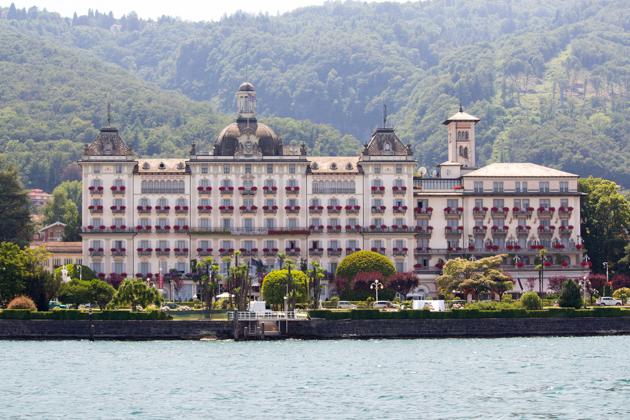 A palatial luxury Art Nouveau hotel overlooking Lago Maggiore. It boasts a spa, beautiful grounds, a pool and a lovely conservatory breakfast room to enjoy their buffet breakfast. Booking.com offers good room rates with breakfast included if booked in advance. 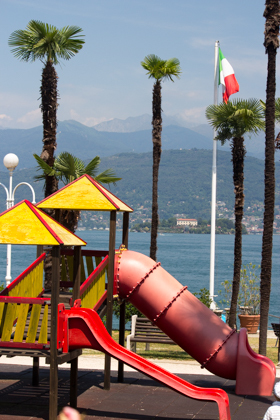 For older children there are several adventure activities within an hour or so drive – paragliding (in Monte Tamaro in Switzerland), white water rafting (in Monrosa) and a water park (Splash & Spa Tamaro). There is also a music festival in July.